In the fall, insects and rodents are looking for a warm shelter for the winter. Unfortunately, our homes provide an inviting place for pests with food, water, and warmth. Termites and ants will invade a home and burrow into the wood, creating tunnels through the framework and support beams. The damage can be devastating, and the cost of repair excessive – when repair is possible at all. Scheduling professional pest control in Fort Worth can take control of invading pests, and prevent additional infestations. Rodents will enter the wall spaces, chew on wires, and eat holes in sheetrock. They create the risk of fire by chewing on electric wires, and cause problems by chewing through phone, internet and other cables and wire. Locating the damaged wires can be difficult, and costly to repair, and rodents bring the risk of numerous diseases. The Bug Dude can treat your rodent problem, contact us to schedule effective pest control in Fort Worth. 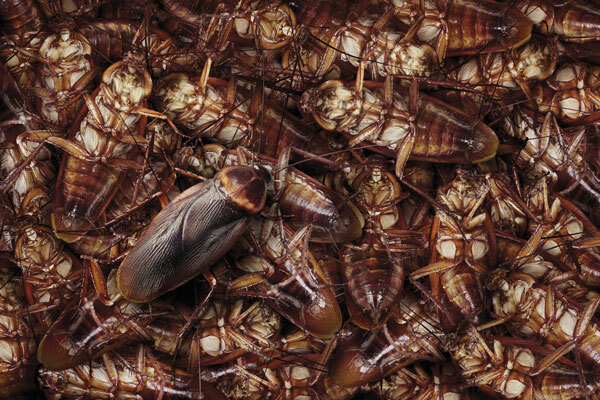 Cockroaches are a common reason for homeowners to call for pest control in Fort Worth. There is a good reason for treating the problem, as cockroaches carry the risk of disease into your home. They crawl over dishes in the cabinets, through packaged goods such as sugar and flour, crawl over the silver wear in the drawer, and leave feces behind with the stamp of viruses and bacterial diseases. These creepy crawlies are not alone in their attraction to your warm home. Ticks will try to shelter there, and carry the risk of Lyme’s disease, Babesiosis, Ehrlichiosos, Rocky Mountain spotted fever, and Tularemia to name a few. In addition, spiders, wasps, and fleas will try to enter your home, along with ladybugs, stinkbugs, silverfish, centipedes, and a host of others. Professional pest control in Fort Worth provides the solution to your pest problem. You do not have to dread the fall migration of insects and rodents seeking shelter. Proper fall maintenance by sealing the potential entries of cracks and gaps, and scheduling professional pest control in Fort Worth can treat your yard and home, stopping many pests before they can even enter. Screen repair may be possible for small holes. Use household cement, instant glue, or clear nail polish to seal tiny holes. Trim larger holes in a neat square, and patch with a new piece of screen about ½ inch larger than the hole. Press some of the teeth on the patch through the screen and bend them to hold in place. Use epoxy to seal the patch in place on metal screen, or instant glue for vinyl or fiberglass screens. Large tears or holes will require screen replacement. To prevent pest infestation in your home, or to treat a current one, contact The Bug Dude to inspect, identify and provide effective, professional pest control in Fort Worth. Our pest control professionals are up-to-date on the latest techniques and treatments for control of pests. We serve Fort Worth, Dallas and the surrounding areas with quality pest control services.